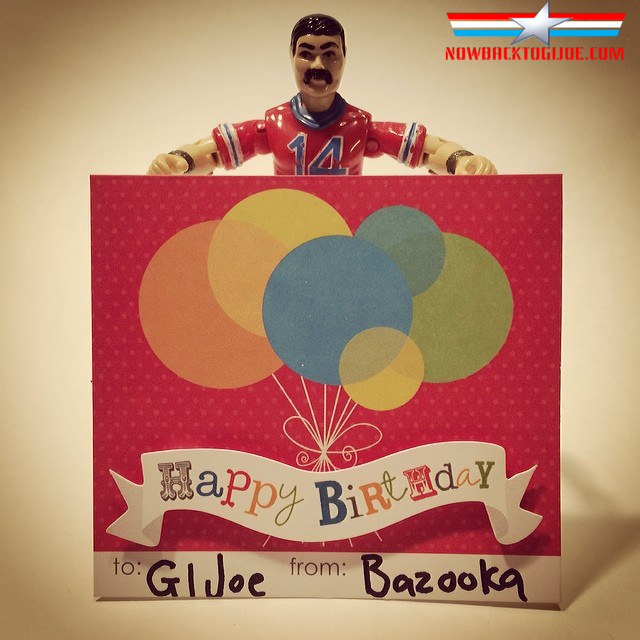 This week GI Joe celebrates it’s 50th anniversary and I’d like to say a few words on the subject. let’s take a minute to examine the significance of this accomplishment and it’s impact in the toy industry and the pop culture landscape. Lunchboxes, coloring books, underroos, breakfast cereal, hats, shirts, toys, shampoo, Shrinky-dinks, bed sheets, the list goes on and on. 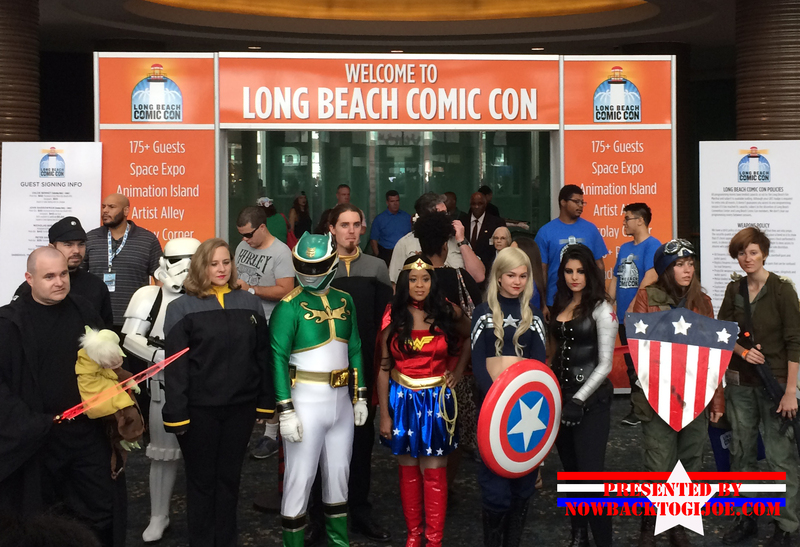 Since the early 1960’s GI Joe has captured the imagination of kids the world over and what started out as an American icon, quickly became a phenomenon the world over. 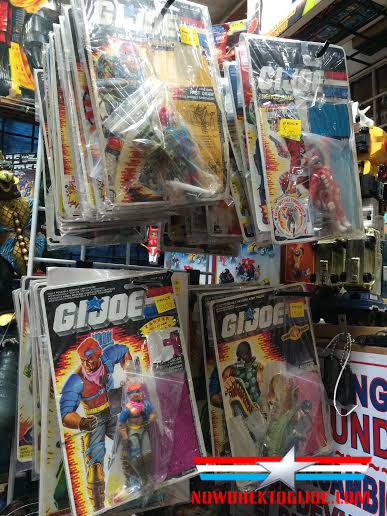 50 years and many generations later – GI Joe continues to be a household name. You’d be hard-pressed to find someone who hasn’t heard of GI Joe. But just how did a toy soldier become the franchise he is today? Lets start from the beginning shall we? In 1963 Stan Weston tells Hasbro creative director Don Levine about his thoughts for a boys action figure as a counter part to the massively popular Barbie doll marketed to girls. 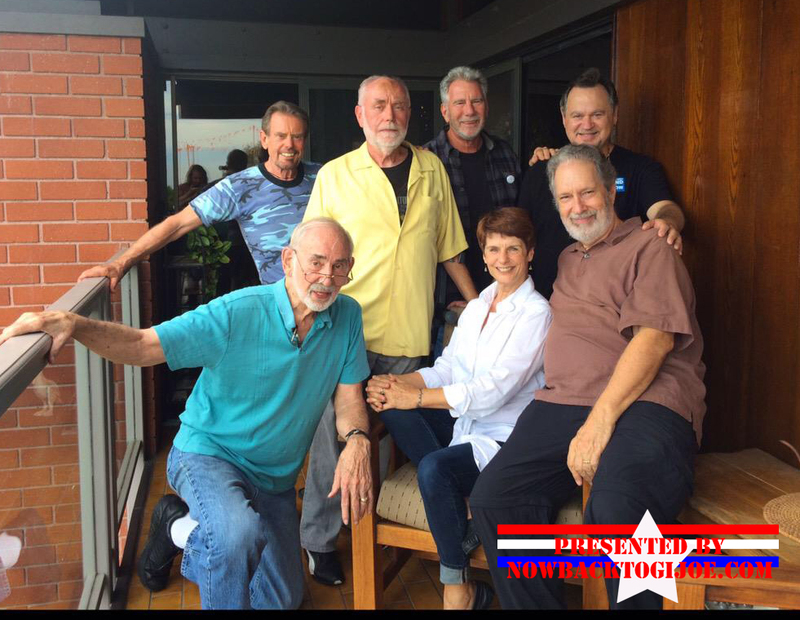 Don is instantly sold on the idea and returns to Hasbro and shares the idea with a small group consisting of Jerry Einhorn, Sam Speers, and Janet Downing Taylor who start work on GI Joe unbeknownst to Hasbro founder Merril Hassenfeld. After Merril was on board, work started full time on GI Joe to get him ready for Toyfair 1964. An American icon had just been created. Toyfair 1964 – was the place and the year when the world was officially introduced to a new kind of toy. A toy that wasn’t a doll or a green army man. In fact, he was so different that an entirely new category had to be created for him and thus the term “Action Figure” was created. GI Joe was marketed as an Action Soldier with 21 movable parts, he had regulation gear and uniforms, all packaged in wonderful full color boxes adorned with art from Sam Petrucci and Harold Thresher. The Toyfair presentation and introduction went so well, that initial orders had to be allotted. GI Joe was and instant hit and he successfully captured the imagination of a whole generation of kids with many more to come. 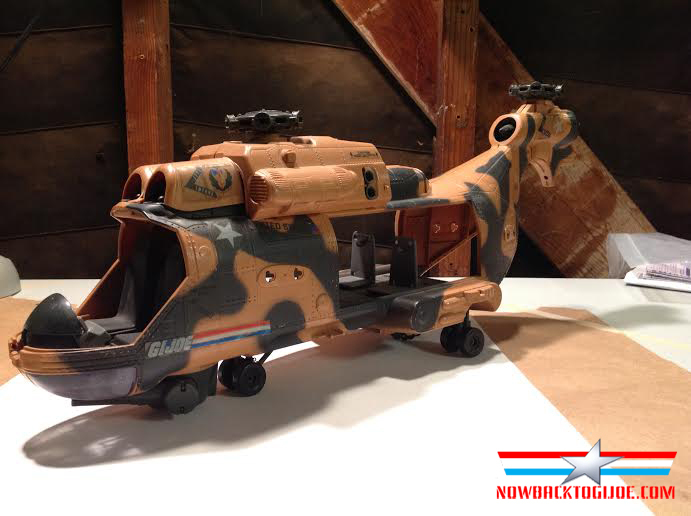 In 1982, Kirk Bozigian, Tom Griffin, and Joe Bacal, re-invented GI Joe into arguably the most successful toy line of the 1980’s that culminated with the USS Flagg, a mammoth aircraft carrier playset that measures an amazing 7 ft 6 inches. 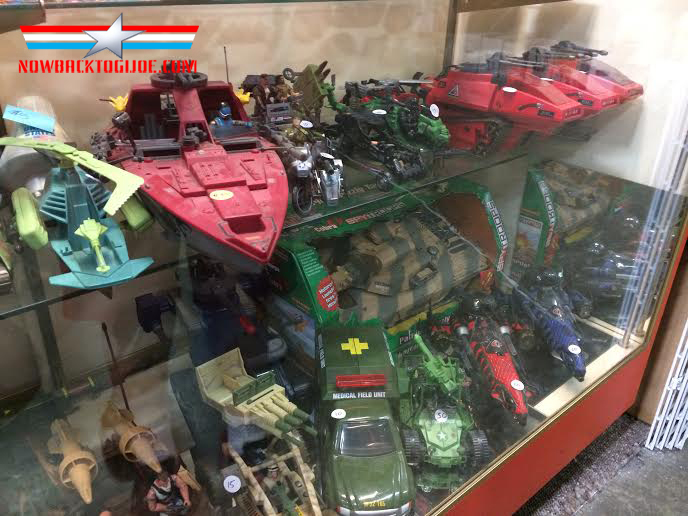 Riding on the success of Star Wars action figures, GI Joe was re-introduced as diminutive 3 3/4 inch action figures with an array of vehicles and playsets. GI Joe was now the code name for a team of specialist fighting off the evil forces of Cobra, A ruthless terrorist organization determined to rule the world! A Real American Hero was here to save the day. A successful kids cartoon show produced by Sunbow and a Marvel comic book carried the brand throughout most of the 80’s and well into the 90’s. The 90’s were a peculiar time for GI Joe as he searched for relevance and identity. It also saw the welcome return of the 1/6th scale size action figures with the Hall of Fame collection. The 2000’s saw the introduction of Sgt. Savage and his screaming Eagles, Valor vs. Venom, Spy Troops, and Sigma 6 as the latest chapters in GI Joe’s fight against Cobra. 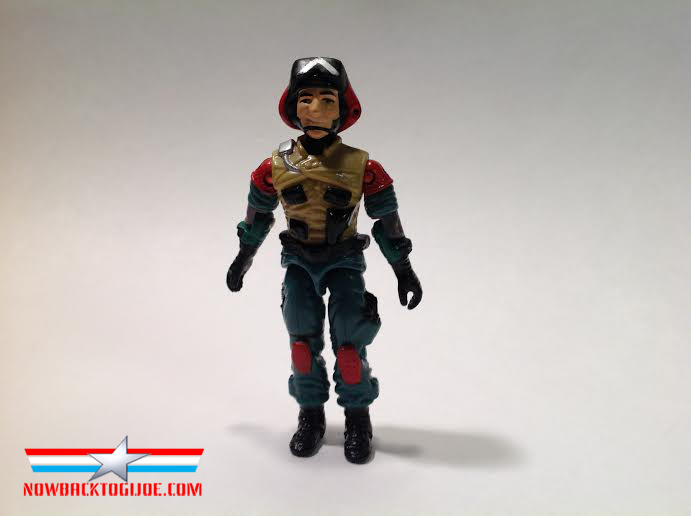 In 2007, Hasbro celebrated 25 years of GI Joe by introducing the 25th Anniversary Collection to rousing success and praise from both fans and retailers alike. The collection consisted of classic A Real American Hero characters sporting new modern sculpts with added articulation complete with retro packaging mimicking the original explosion layout of the 80’s card art. In 2009, GI Joe went “Hollywood” with the release GI Joe:The Rise of Cobra, a big budget Summer blockbuster and Hasbro quickly went to work on the accompanying toy line in support of the film. 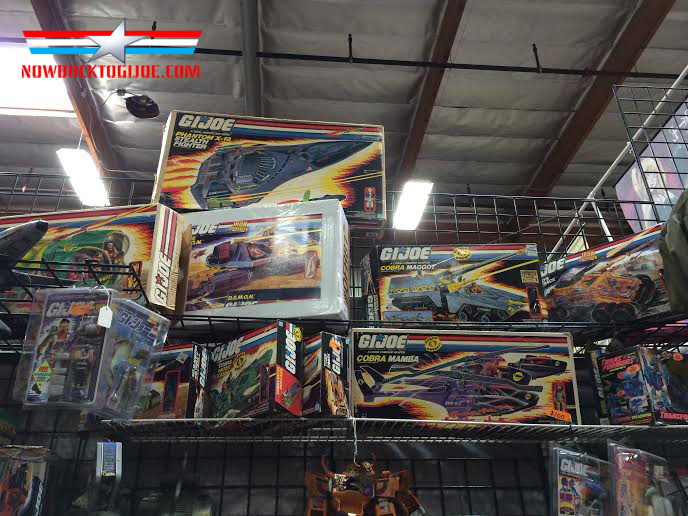 GI Joe’s 30th Anniversary quickly followed and Hasbro celebrated with an extension of the 25th Ann. collection simply called the “30th Ann. collection and continued with modern updates for characters from the original ARAH collection . The first GI Joe film was successful enough to spawn a sequel in 2013 titled GI Joe Retaliation and once again, Hasbro supported the film with another round of movie based characters. Which brings us to 2014 and GI Joe’s 50th anniversary, an achievement only a handful of toy lines can claim. 50 years of backyard adventures and exploits. 50 years of “America’s movable fighting man”, “Knowing is half the battle” and “Yo Joe”. In 2014 GI Joe is once again struggling to find relevance and identity in a post 9/11 world where things are a little more “grey area” and not as black and white. Where GI Joe goes from here I’m not entirely sure, That’s something only the creative minds at Hasbro can answer- but I do know this: GI Joe has evolved and adapted over the decades, It’s changed the toy landscape not once, but twice and I honestly believe the brand can do it again- For as long as kids look for heroes to look up to, as long as they look for adventure and fun, and as long as there are passionate people at Hasbro who are willing to take GI Joe into new avenues of adventure and heroism through new mediums and territory, then GI Joe can and will survive. 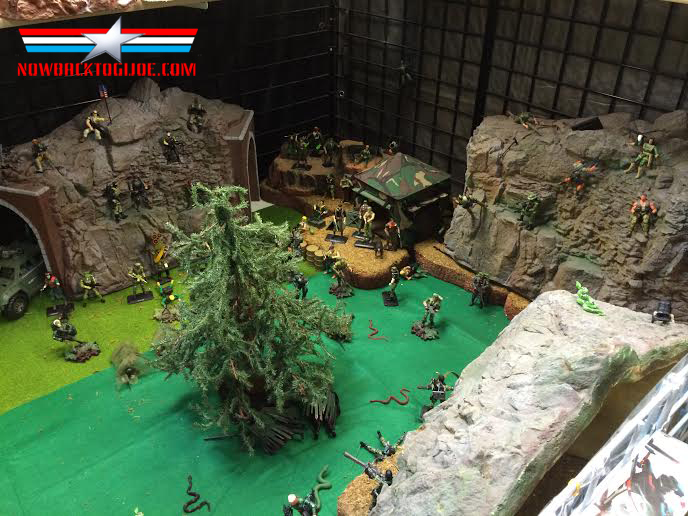 GI Joe has come a long way since it’s secretive beginning in Central Falls Rhode Island back in 1963 and with a little luck will be around for another 50 years to come. So here’s to you GI Joe, I know you’ve positively impacted my life and hopefully will continue to do so for generations to come. I love living in sunny San Diego. It seems like our town is blessed with endless Summer-like weather, beautiful beaches, beautiful girls, lively surf, etc. etc. However, one thing it is NOT blessed with is places to buy vintage toys. 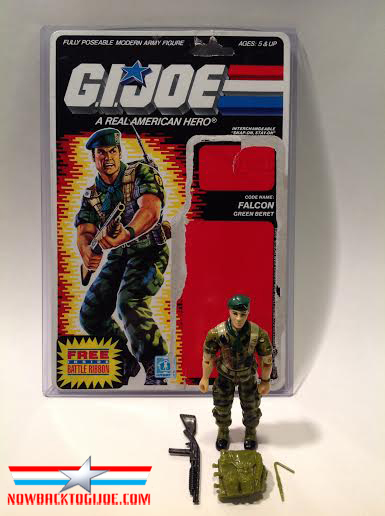 Sure there are your Craigslist listings, but listings offering Vintage GI Joe are extremely rare. If you’ve followed this blog for any length of time then you know that 99% of my collection has come from Ebay simply because San Diego lacks vintage toy sources and I don’t have too many options. But it really is no fun just sitting in front of the computer and simply clicking “Buy it Now”. 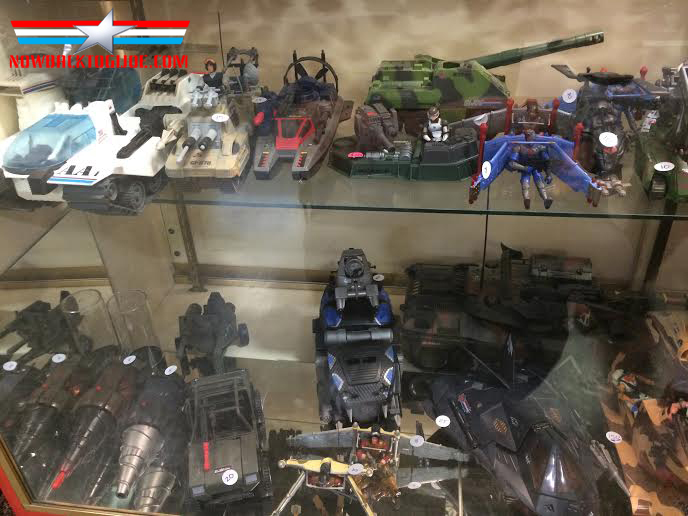 I’ve always been fascinated with the fantasy of going out and finding the mother load of vintage GI Joe at a garage or estate sale and making out like a bandit! but alas it is not to be, at least not here in San Diego. So once is a while I hop on the I-5 freeway and head North to City of Industry in the Los Angeles/San Gabriel Valley region – Home of the (in)famous Frank and Sons collectible toy show. I say infamous because the show has a reputation of being a haven for scalpers. On the other side of the coin though, I’ve found there are also a number of smaller booths with honest sellers specializing in both MIB and loose vintage toys to offset the “bad guys”. In my personal experience, these sellers are more often than not, happy to work out a mutually beneficial price. All it takes is a little bit of extra work to dig through their boxes of loose toys in search of buried treasure. But hey, that’s half the fun right? Such was the case this past weekend where I found a little bit of treasure hiding in plain sight. I worked my way around the show as I always do starting from front to back. Up front you’ll find sellers with the latest waves of everything from Hot Wheels to Barbie and everything in between. I spent a few minutes looking at all the newest waves of GI Joe Retaliation waves in hopes of filling a hole here and there in my small and humble modern collection. Continuing down the isles you start to come across booths that sell loose toys along with their newer MIB toys. 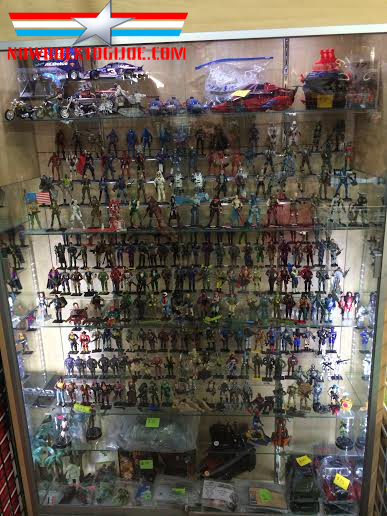 It’s fun looking at display cases with row upon row of loose 3 3/4 figures of Marvel, Star Wars, and GI Joe from many different eras. 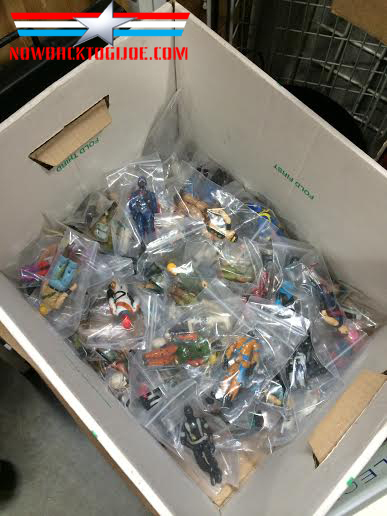 The cool thing is that sometimes you want a particular figure or piece from a multipack or vehicle set, well this is the place to find those types of figures…for a price that is. 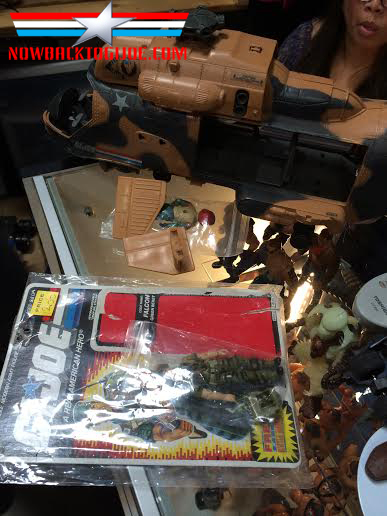 I then looked behind the counter and noticed some loose Joes poly-bagged complete with uncut cards on a peg. I started flipping through them and toward the back I found a complete Lt. Falcon in great shape with a price tag of 12$ – trying to disguise my excitement, I put the figure on the counter and said “I’ll take this one too”. My total thus far was 32$, I’d have paid that for Falcon alone to be quite honest. Before I paid, Sam and I started chatting and got into a great discussion about vintage toy lines and some of his prized pieces. It really was rather wonderful having a conversation about something I’m so passionate about with someone equally as passionate. We touched on his experiences at the show, his inventory, and his collection. When it came time to pay he looked at me and said “eh, gimme 20$” 20$?! hells YES! Making a new friend paid off handsomely today. 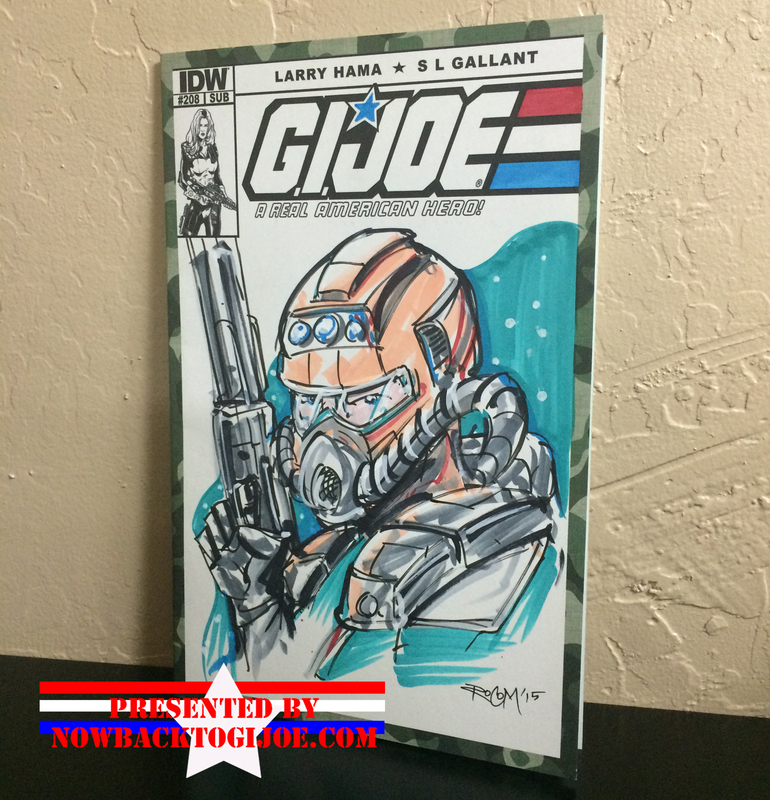 I walked out of that booth a very happy GI Joe fan! not only because I scored a great deal, but because I was able to experience that “Garage sale” victory I mentioned earlier and met two very cool brothers along the way. The trip was a great success and a lot of fun- Now if only traffic had cooperated on the drive home…Till next time! The 50 Greatest GI Joe Characters Of All Time! The guys over at Underscoopfire podcast have been great supporters of this blog from the very beginning, for which I’m eternally grateful. 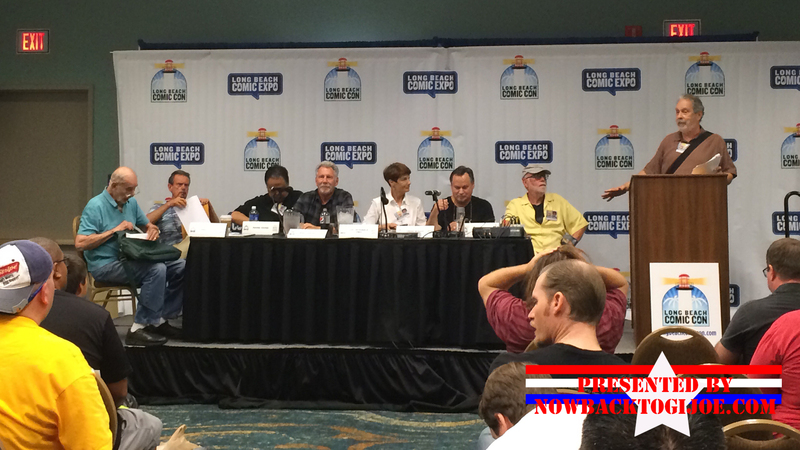 So when they asked me to be on a panelist on their “The 50 Greatest GI Joe Characters Of All Time” feature, Along with a “Who’s Who” of the GI Joe community, I jumped at the chance! It’s a fun list and an equally fun read – So hit the link, and enjoy! Right after that, subscribe to the Underscoopfire podcast via Itunes here! The Holiday season is in full swing and Christmas cheer is in the air! Unfortunately, this time of year also sees too many kids waking up to find no presents under the Christmas tree due to reasons beyond their control. That’s where the USMC and their Toys for Tots program steps in and makes children’s Christmas wishes come true by helping Santa provide gifts to less fortunate kids around the country. We loaded our tub full of GI Joe, Transformers, DC, Teenage Mutant Ninja Turtles, Monster High, Mini Mates, and Barbie and headed down to our local drop off site in a nearby Toys R Us. My son, daughter, and Bazooka were on hand to play Santa’s Elves! My kids has a blast and more importantly, learned about helping those in need. Get involved by looking up donation sites at Toys for Tots website here Also, follow Geeks for Tots on Twitter (@GeeksforTots) for a fun way to donate and maybe even win a prize for yourself! I highly encourage you to participate in the Toys for Tots program and donate even a single toy. No child should wake up to nothing under the tree on Christmas morning and you can help by donating! Happy Holidays everyone, Cya!